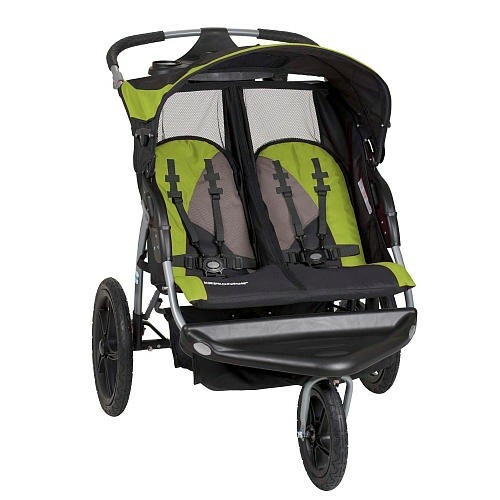 Double jogging stroller with 16" pneumatic tires. Assorted colors. Side by side seating. Select used dbl/ strollers for sale.